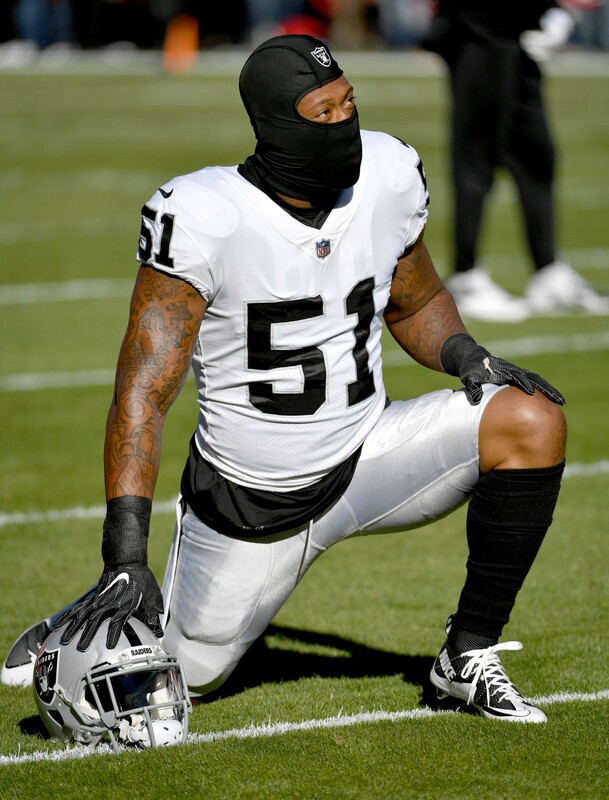 The 49ers “went hard” after free agent Bruce Irvin after he was released by the Raiders, according to Matt Maiocco of NBC Sports Bay Area (Twitter link). Irvin ultimately signed with the Falcons, but San Francisco was one of roughly 10 clubs that inquired on the veteran defensive end, per Maiocco. Irvin on Wednesday told Vaughn McClure of ESPN.com both the Steelers and Patriots offered him more than the $1.5MM he’ll collect from Atlanta, while reports also indicated the Seahawks expressed interest in adding Irvin. But the 31-year-old preferred to return home to his native Atlanta, so any other proposals weren’t all that attractive. On paper, the 49ers are something of a curious fit for Irvin, as they’re certainly not in contention for a playoff berth with a 2-7 record. San Francisco, which ranks eighth in adjusted sack rate but just 17th in pressure rate, also has a young crop of rushers available on the edge, including Arik Armstead and Solomon Thomas, so Irvin wouldn’t have been looking at a full complement of snaps. However, if the 49ers believe they’ll need additional edge defenders in 2019, they may have been interested in signing Irvin for something of a trial run. Irvin should already be familiar with San Francisco’s scheme (it’s similar to the defense he ran with the Seahawks earlier in his career), but the 49ers could have gotten a chance to see how he fits into the club’s front. Irvin only signed a one-year deal with the Falcons, so San Francisco could certainly target him when he hits the open market again next spring. Irvin knows the road is near the end. He wats to be home. He’s a great dude and as a diehard WVU fan I wish him the best. Bruce would have given the 49ers 4 first round picks on the defensive line. A coach can’t have many excuses for non performance under those conditions. Moving down is something the 49ers do very well….lol. He’s a versatile player. Keep in mind he does not need to play on the line.